The most successful people in the world are always on a journey to learn more to grow and take their business and personal life to the next level. Marketing is the lifeblood of any business and you as an entrepreneur need to ensure you are on the path to success. a system to show you the path to marketing your business without hiring an expensive and “Old School” marketing agency? That’s exactly what the Y.M.U. Courses are designed to give you! 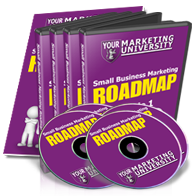 Each and every course is designed to remove the complexity of marketing your business and give you an exact roadmap to implement quickly and easily in to your business. Our training courses are “Over The Shoulder” training to give you the step by step process and fill in the blank systems you need to increase sales and decrease the time you spend “trying” to market your business. Have you ever gone to a workshop or seminar before and then when you got back tried to decipher your notes and ended up completely lost? 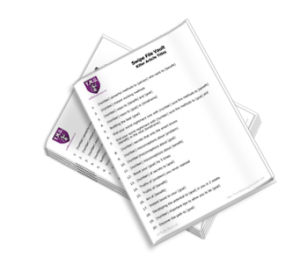 All our courses are designed for you take at your own pace! Go back and watch them over and over. 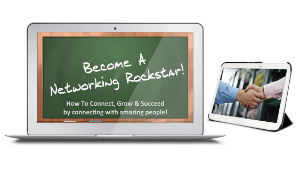 Watch them with your assistant and teach them how to become your own Marketing Rockstar! 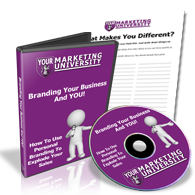 You’ll never wonder what the next step is to take your business to the next level again! To get started today, take a look at the list of YMU courses available right now…. Where Are You In Your Business? If you’re like most business owners and professionals, You know you need something different in your marketing in order to get to the next level…..
You need a system that will not only give you the tools but the step by step instructions on How To Use Them AND What ORDER To Use Them. You see, most businesses suffer from “the cart before the horse” syndrome and that’s why they don’t get the results they expect from their marketing efforts. Branding isn’t your logo. It’s not your business cards. It’s not even that insanely expensive car wrap you see driving down the road. It’s much more than that. In today’s world more than ever, people buy from who they know, like and trust. That’s why it’s so critical to build your personal brand. Most web designers ARE NOT marketers! Without the right guidance it’s likely you’ll end up with a pretty website that won’t do you any good to market your business. 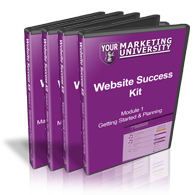 The Website Success Kit will show you EXACTLY what to do to create a successful 24/7 Lead Generation machine for your business. Whether you decide to build it yourself or hire a professional, this program will save you THOUSANDS of dollars and keep you in control of your site! So you are on Facebook, Twitter and Linkedin. You have an account on YouTube, Pinterest and Google+. And you made sure you have a blog. Now what…? What do you post? How do you figure out what to put in your posts, videos and pictures? This program will show you how to create an endless supply of content quickly and easily. Before you know it you will have so much content you will be scheduling things to post months in advance and your potential clients will have no doubt in their minds who the expert is in your industry. Boatloads Of Cash On Demand! Grab The Ultimate Weapon When It Comes To Churning Out Sales Letters, Squeeze Pages, Promo Emails, Blog Post Headers And Many More! Sometimes, you can get really stuck when you sit down to write. We all know it as writer’s block and we have all been hit with it at the worst times. If you really want to sell something, you need something to help you to propel your business to the next level with less effort on your part. What if you had an army of raving fans referring business to you, telling others about how great you are and being your trusted advisers when you need help with something in your business? Having those resources available would almost guarantee your success in business. The most successful people in the world created their success with the help of the people they are connected to… Their network.